Dungeon of Signs: Mr. Sandman, Send Me a Dream. Gentle, sweet smelling pastel mist that induces a slumber filled with pleasant dreams. Booming flash and visible shockwave that stuns targets instantly knocking them unconscious. Whirlwind of swirling black sand that cakes the orifices of the targets and drops them into exhausted sleep. Horrible apparition appears, revealing face to targets and causing them to faint from terror. Spray of fine mist that settles on the targets and reduces them to despondent, inactive weeping. Wave of stinging midges, beetles or bees, stings induce slumber, but cause insects to die. Strong Scent of liquor and noises of a crowded barroom fill the air. Targets behave drunkenly for a moment before passing out and snoring loudly. Targets’ souls are momentarily pulled free of their bodies, which slump as if lifeless. Souls can be seen struggling to return as golden ghost like figures. Floating symbol sketched into air by caster, those within its baleful aura stand transfixed seeing and feeling the decay of their body as if dead. 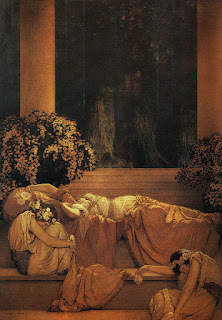 Soft light emanates from caster, targets sleep deeply and their dreams appear projected above their heads. Spinning wheel of insubstantial supernatural sheep. Their knowing gazes cause peaceful sleep. Scattering of levitating gears and cogs made of light, targets touched are frozen in time, repeating the last second of their prior actions in a loop until disturbed or the spell wears off.